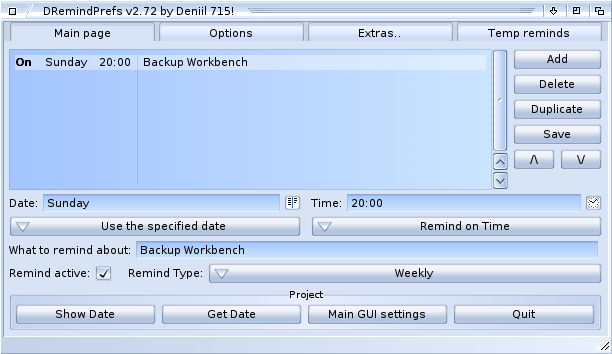 This tutorial explains how to combine DRemind and BackUp to do scheduled backup quick and easy. First of you need to download DRemind and BackUp from our homepage (click the download ink or on the program names above). Now we assume you have unarchived the program and installed it on your computer. 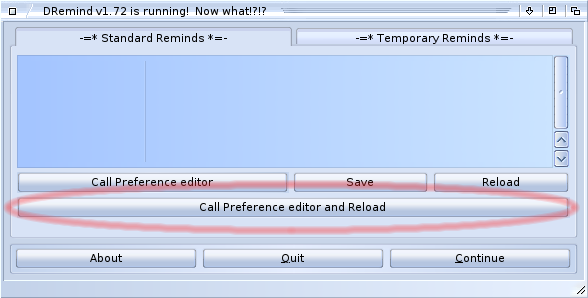 Locate and click the button named "Call Preference editor and Reload" (see picture below). 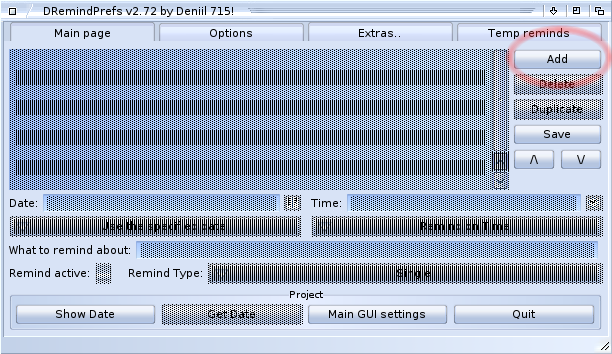 This introduces us to yet another window, the prefs editor of DRemind. Locate and press the "Add" button (see picture below). 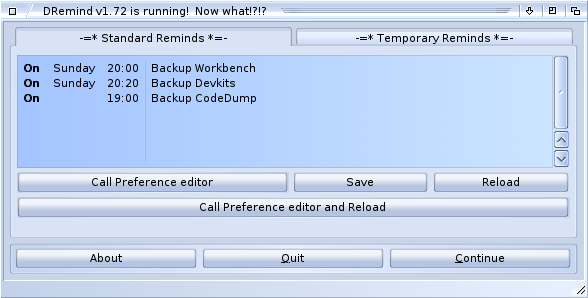 Now it's time to add a reminder for the backup purpose, in this example we would like to backup our Workbench installation once a week (on sundays at eight o'clock), so we specify this in the reminder so we know what's going on when it is triggered (see picture below). 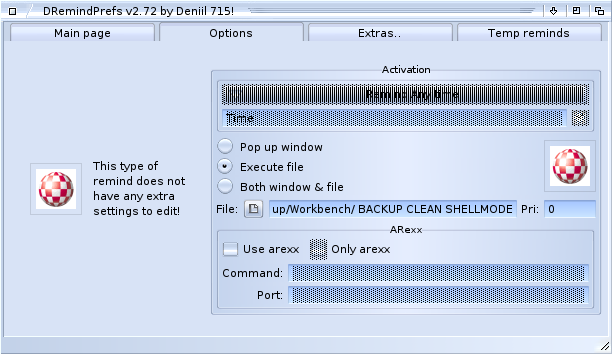 Just to clearify, the BackUp program is located in C: and the source we like to backup is Workbench: and the target is located on a disk named Backup: which has some drawers for different backup locations.